Hello! I’m Nico and I make horror comics. I want to write genuinely scary stories and help others do the same! 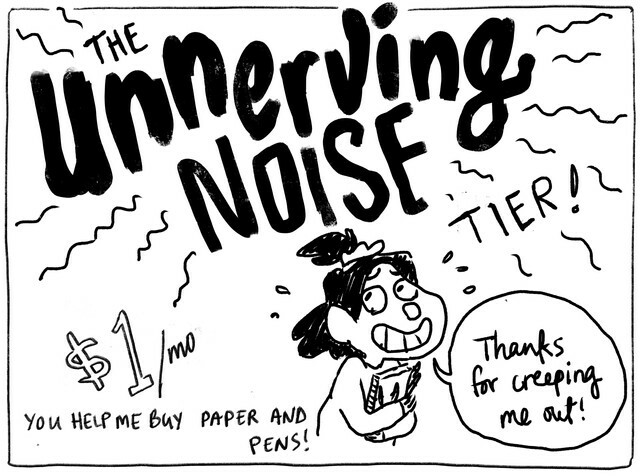 The Unnerving Noise patrons are what keep me hurrying forward and casting fearful glances over my shoulder! Patrons at this level will feel like they are literally hovering over my shoulder, watching me draw, bound to me for all eternity by their deepest regrets!!! Alternate pages for The Magazine, which I first tried to draw in a totally different style. My first ever drawings of Reina and Yasmine from The Sacker Street Ghost. Journal comics on topics ranging from horror books to making comics to squabbles with my cat! You’ll help me buy my pens and paper. Thank you creeping me out! You get to access to journal comics, sketches, story notes, and other development content for my comics! 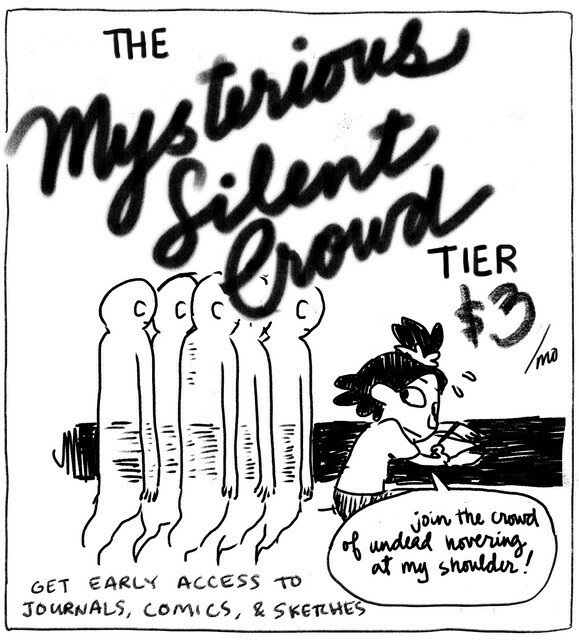 Thanks for joining the crowd of ghosts hovering at my shoulder!